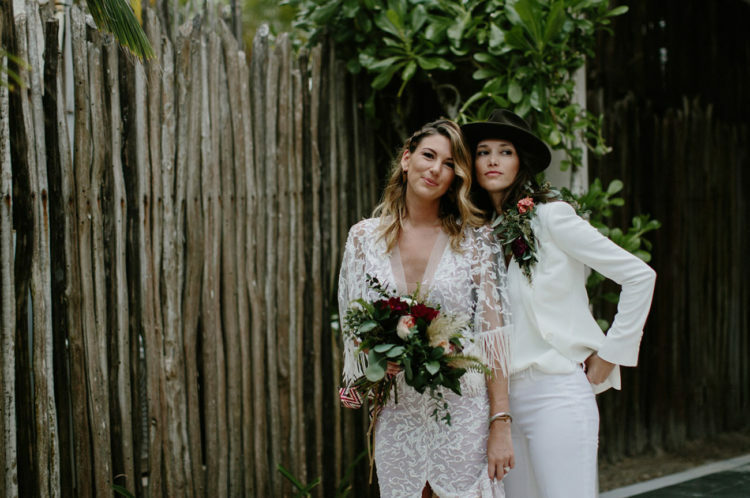 Have you ever seen a rock ‘n’ roll-inspired beach wedding? 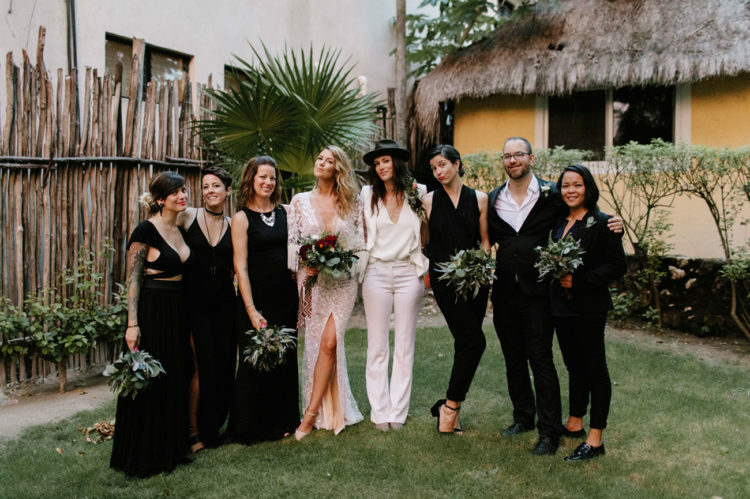 If not, I’m going to share this amazing wedding with such a cool combo of styles today! 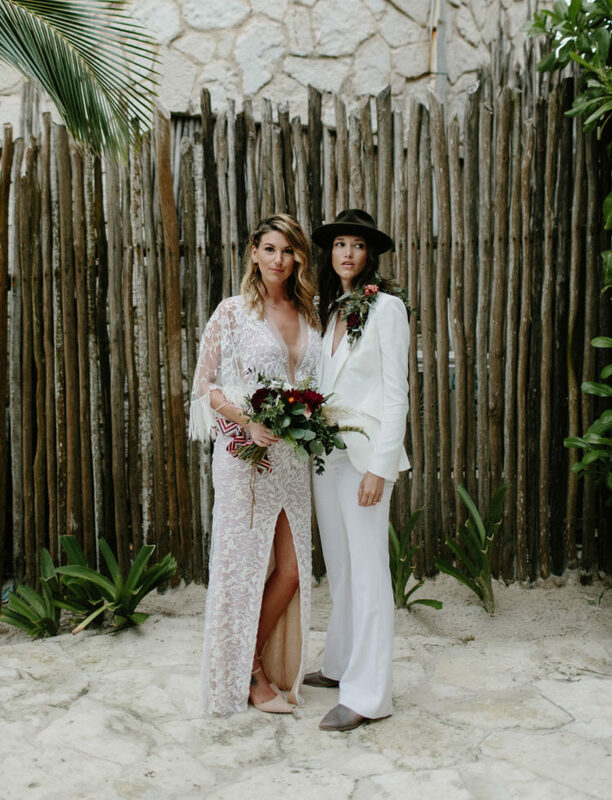 Katie + Chelsea’s moody rocker wedding took place at the Nest in Tulum, Mexico, and I’m totally head over heels about this stylish wedding with a slight boho feel. 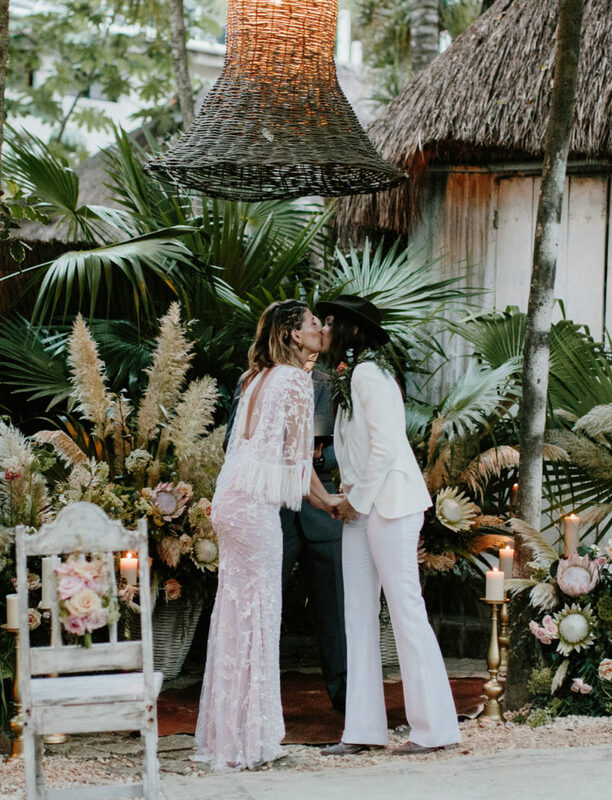 The tropical space was transformed into an edgy bohemian paradise. 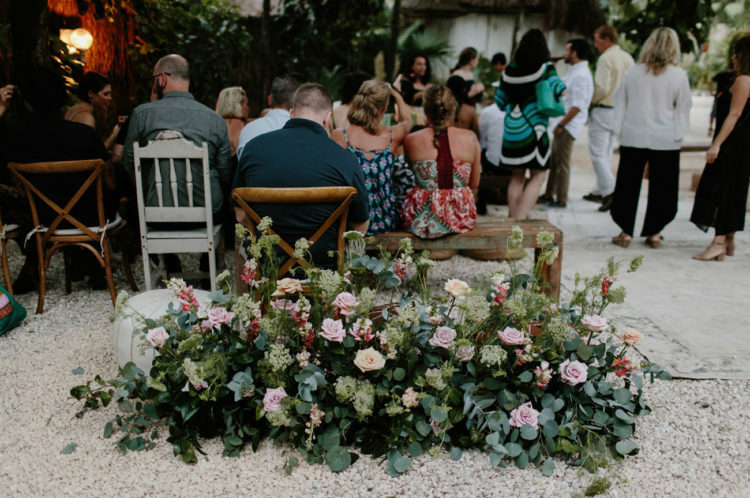 The ceremony space was done with pampas grass, king proteas and candles. 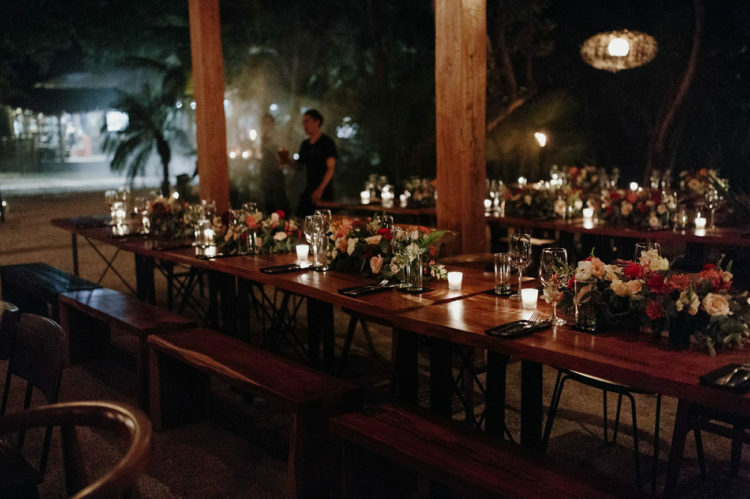 The stylists provided some bohemian and modern elements, including: leather poufs, farm chairs, cowhide rugs, baskets of large bloom florals from Moni Junco, and candle light in every direction. The table settings were done with lush blooms and greenery and candles for an intimate ambience. Guests enjoyed a set menu of fresh fish, octopus, roasted vegetables and handmade pasta, all served family-style. 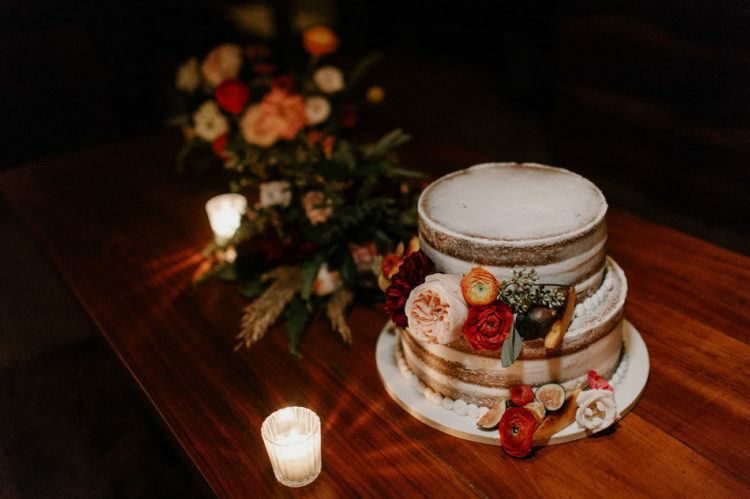 The wedding cake was a naked one topped with fresh blooms and fruits. 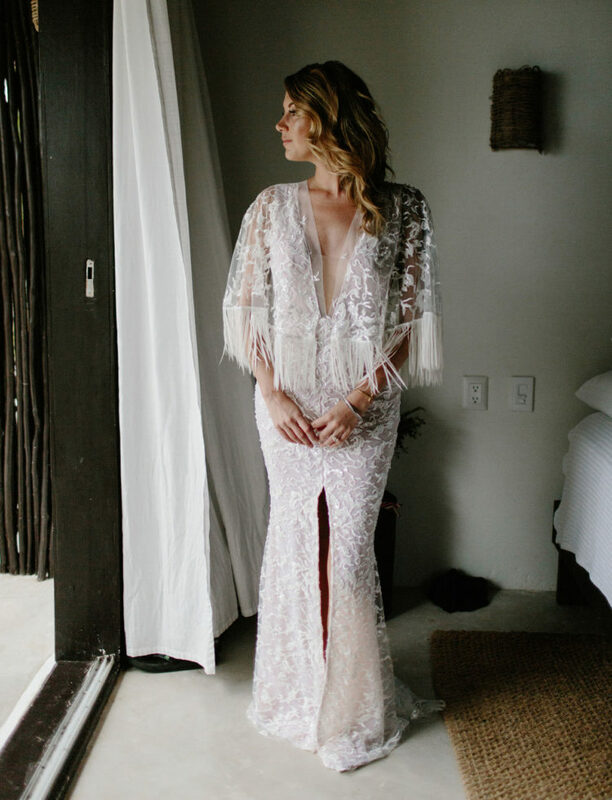 One bride was wearing a gorgeous boho glam wedding dress with lace appliques, a plunging neckline, long fringe on the bell sleeves, with a front slit and an open back. She was rocking a half updo with a braid with waves down, her shoes were blush suede ones with ankle straps. 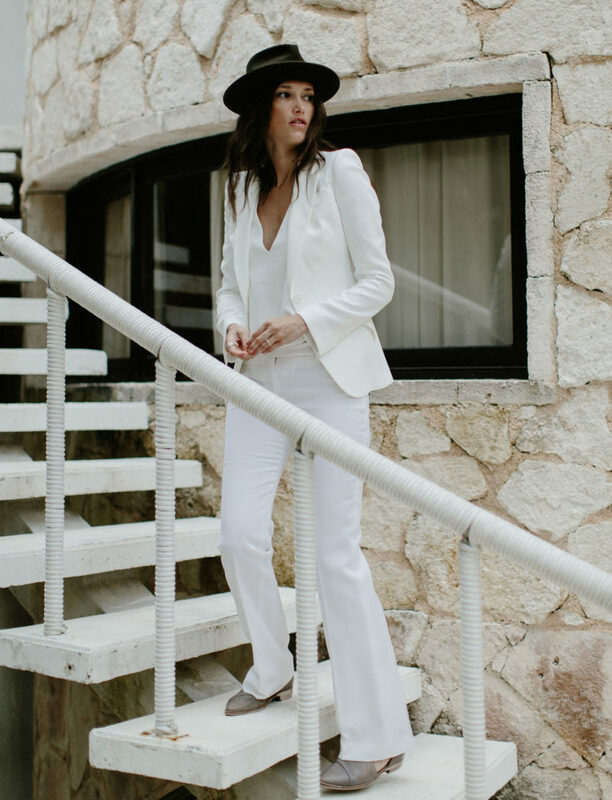 The second bride was rocking a white suit, with a top, a hat and leather booties. The bridesmaids were wearing mismatching black dresses and pantsuits. The little flower girl was wearing a white tee and a blush tulle skirt and looked super cute! Steal some ideas for your own wedding!